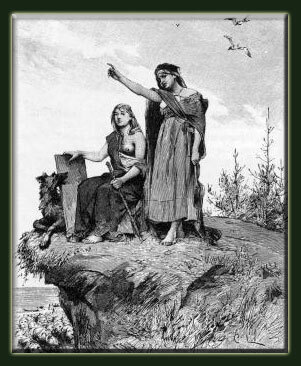 Welcome to Völuspá.org; this site is intended for studies of Forn Seðr "Old Customs", Heritage, Culture and Lore of various Germanic Tribes. Both the Poetic Edda and Prose Edda can be found here, in both English and Old Norse; in addition to many Sagas and Germanic Folklore. Unique to this site is the addition of analysis and studies done by various people in to Germanic issues of the past and today. Both Eddas, Sagas and Folklore are in Public Domain; the individual analysis and articles as well as some artwork is copyrighted to the author / creator; and as such are not in public domain; Voluspa.org has the permission of the various authors and artists to use the material, if it is not already in public domain please consult contact information to contact the author / creator for permission to use in your research or on your website. This site is undergoing major reconstruction, peices will be added as they are done.